Benchmark indices ended flat with negative bias on Wednesday. The S&P BSE Sensex ended at 35,591, down 1.25 pts while NSE's Nifty50 index closed 0.40 points lower at 10,651.80. Sectorally, FMCG stocks lost the most with the Nifty FMCG index ending around 1 per cent lower at 29,464, dragged by Godrej Properties and Hindustan Unilever (HUL). Nifty Realty index, too, declined 0.74 per cent to end at 226.50. On the contrary, metal and PSU bank stocks rallied in the trade. Shares of Axis Bank hit a new high of Rs 700 apiece, up 6 per cent on BSE in the early morning trade after it reported over two-fold jump in net profit to Rs 1,680.85 crore for the third quarter ended December 31. 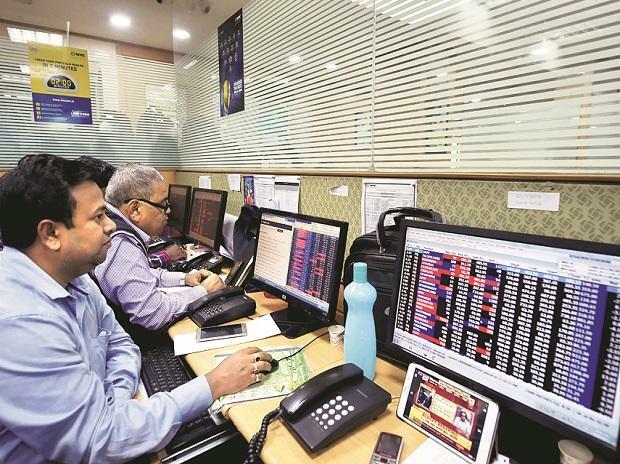 The stock has surpassed its previous high of Rs 679 recorded on January 17, 2019, on BSE in the intra-day trade. The private sector lender posted a growth of 131 per cent to Rs 1,681 crore on the back of strong growth in non-core income due to recoveries and stake sales. It had posed a profit of Rs 726 crore in December 2017 quarter (Q3FY18). The stock of non-banking finance company hit its lowest level since February 29, 2016, on the BSE. The stock was finally settled down 5 per cent lower at Rs 162 on Wednesday, falling 23 per cent in past three days from level of Rs 209 on Friday, January 25, 2019. On comparsion, the S&P BSE Sensex was down 1 per cent during the same period.